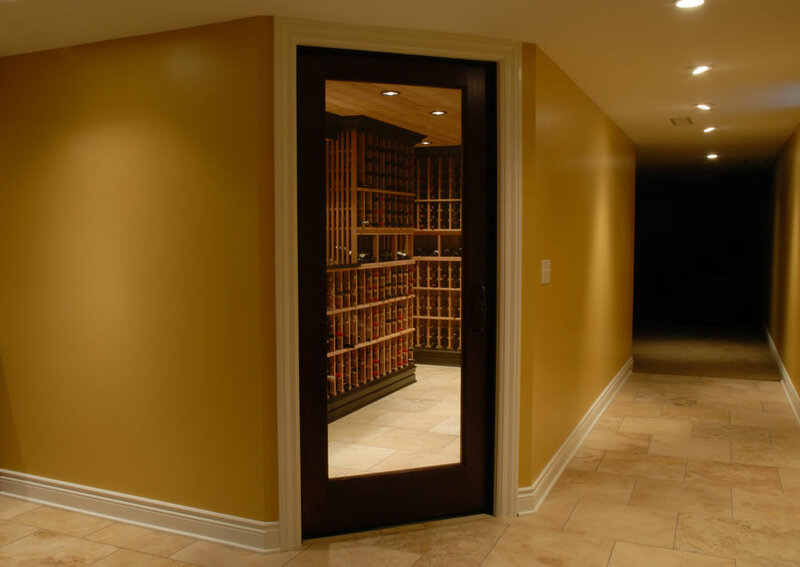 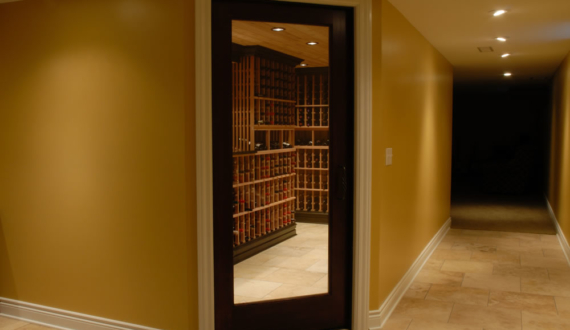 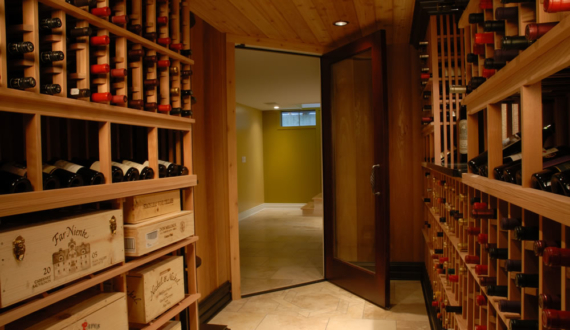 Black stained trim sets-off the redwood in this custom cellar. 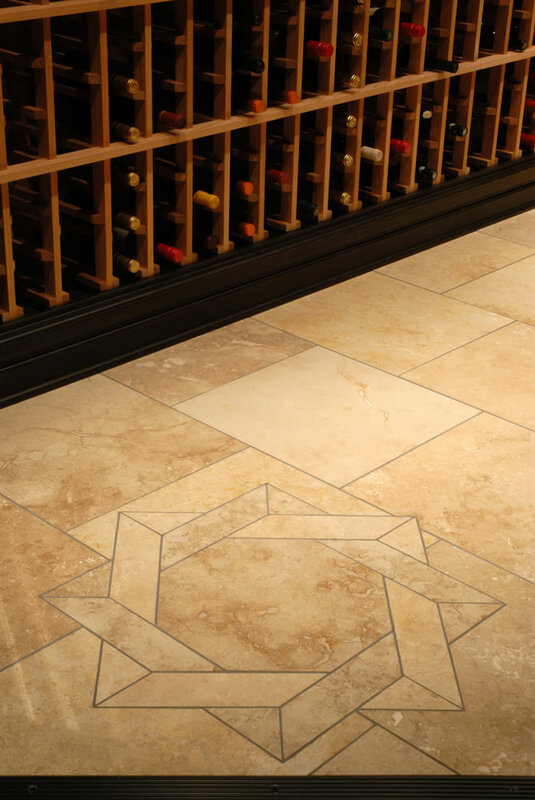 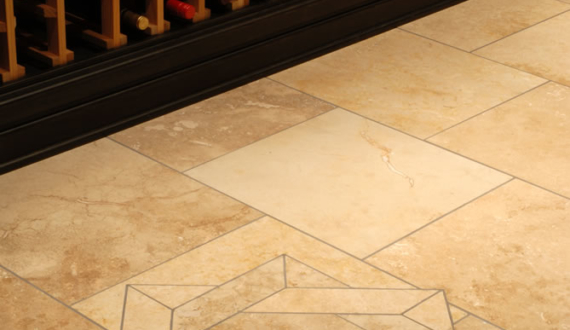 The detailed Travertine marble floors gives yet another added touch of class. 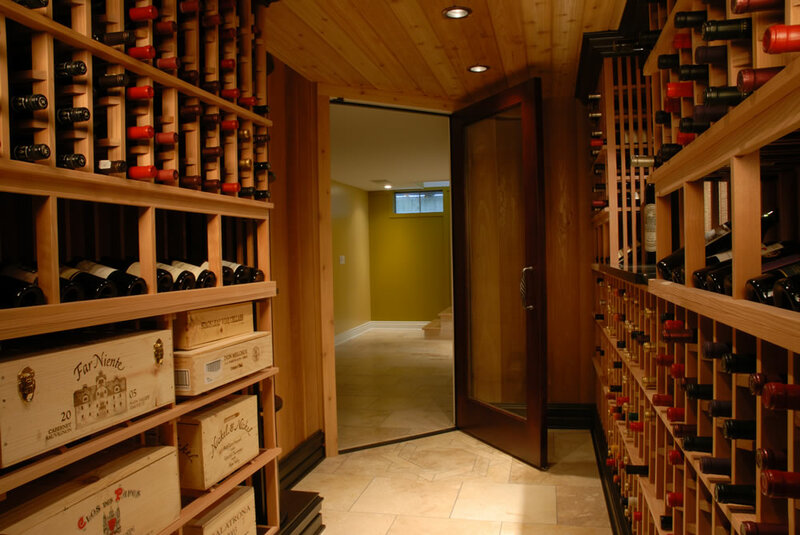 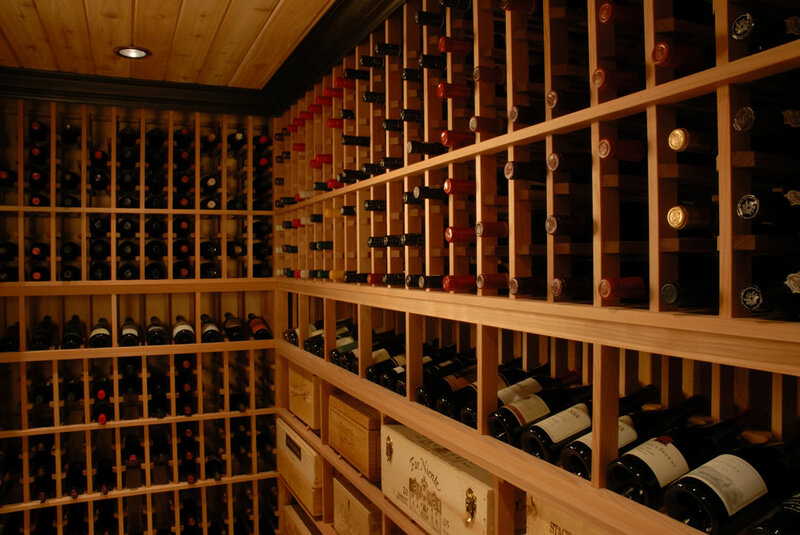 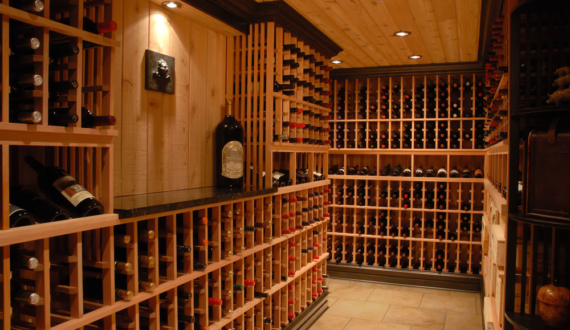 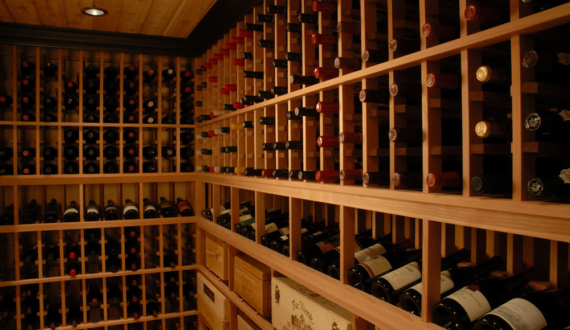 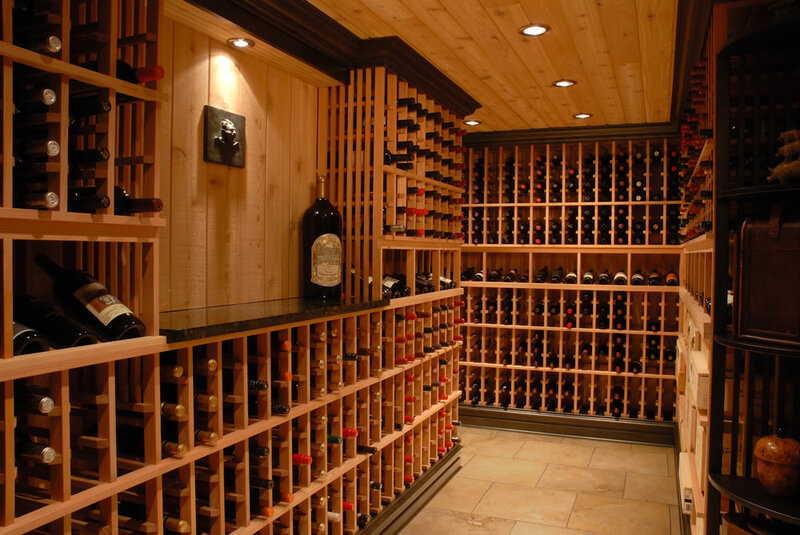 The cellar holds 1,400 bottles, and has a granite counter top area for display and for loading the cellar with new favorites.